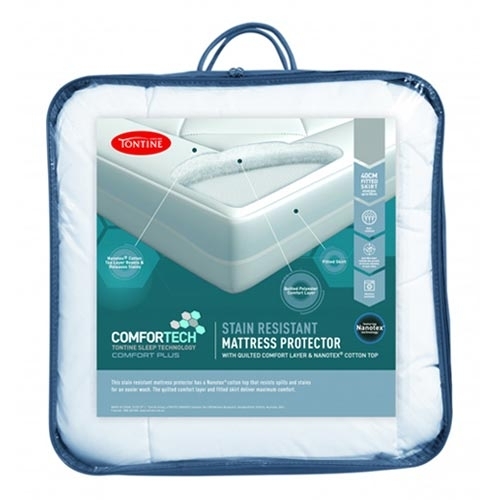 The Comfortech Stain Resistant Mattress Protector is filled with premium anti- microbial treated Ultrafibre™ and features a luxurious cotton cover. What's extra special with this mattress protector is it features the innovative Nanotex® technology cotton fabric that repels and releases stains easily so that the mattress protector looks better longer. Unlike some other stiff stain releasing agents on the market, this textile technology is actually woven within the fabric so that it retains its natural softness and breathability.